As you probably know, there are many brands of polymer clay, and each one has slightly different characteristics that make it a favorite for people wanting to achieve a specific result. Cernit is a brand of polymer clay, produced in Belgium, that is very popular with European and Russian polymer clay artists. So many talented people are getting such good results with Cernit that it makes us wonder what is so different about it? I received generous samples of Cernit clay from two suppliers here in the United States (Marina Taenkova of Marka Decor Craft and Marie Segal of Clay Factory, Inc.) and have been busily claying away, trying many techniques and exploring all the ways that make Cernit polymer clay different from (or similar to) other brands. Here’s my review of Cernit polymer clay. Because there’s so much to say and discuss, this article’s pretty long. So if you’re interested in a specific topic, use these links to help you find what you’re looking for. How Does Cernit Change During Baking? What Colors Does Cernit Come In? Is Cernit Good for Sculpting? Where Can I Buy Cernit? Cernit polymer clay is, in general, just like any other brand of polymer clay. It comes in a bar, is a putty-like dough that you work with to create something, you can cure it in the oven, and you can carve, sand, drill, and paint it after baking. 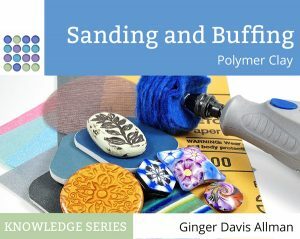 You can mix Cernit with any other brand of polymer clay, and you can use it for all the techniques you’re used to using when you create, such as extruding, mokume gane, caning, using texture sheets, etc. So it’s more similar than it is different from the brands you’re already familiar with. When you open the package, Cernit looks very similar to any other brand of polymer clay. Once you slice off some of the clay and start working with it, you’ll notice that some colors are firmer than others. This could be due to age (more popular colors such as black and white are always newer due to faster turnover), or it could just be that some colors are more soft. (This is true with many clay brands, by the way.) In most cases, I found that a slice of the clay would go through the pasta machine with little to no crumbling and flaking. The clay conditions easily and responds very well to the heat of your hands, soon becoming very smooth and workable. Cernit is quite stretchy when unbaked, and sheets of clay work wonderfully with the die forming technique. This flat-backed oval dome is hollow, and was created using an oval-shaped cutter. Cernit is quite stretchy in your hands and works well for die forming and other techniques where the stretching of the clay is important. The clay isn’t waxy like Kato and isn’t chalky and sticky like Fimo Professional. But it is a bit sticky and can stick to your fingers when it gets too warm. It does have a good balance of sticking to itself (making construction easy) but not TOO good at sticking to itself. You can usually peel apart clay that you’ve stuck together if you change your mind. Cernit does not leave much of a residue on your hands, but you will still want to wipe your hands with a baby wipe when you change to a lighter color or after you’ve been using red. If you find that the Cernit is getting too droopy and soft or sticky while working with it, leave it to sit for a few minutes. Temperature makes a huge impact on this clay, so it would be an excellent one to use if you have cold hands or live in a cold climate. After baking, you’ll find that Cernit has many of the same frustrations as any other clay. You’ll still see fingerprints, “the bumpies”, and, if you’re using translucent, plaques. Cernit does bake with a slight sheen, quite similar to that of Fimo Professional. Many people say that Cernit has a porcelain quality after baking, and it’s a feature that is even mentioned on the package. What does that mean? It’s not hard like a porcelain teacup and it’s not matte like fired clay. But it is rather translucent. If you hold any baked color of Cernit up to the light, you’ll be able to see a glow of light coming through it. This means that baked Cernit polymer clay will have a luminous quality, rather than a chalky one like Fimo, Souffle, or Sculpey III. This lovely rose bracelet was made by Marina Taenkova of Marka Decor. She gave it to me to show me how strong Cernit polymer clay is. You can see the porcelain effect in this photograph. One of the most challenging aspects of working with Cernit is that it changes color during baking. This is because the clay doesn’t use opaque or chalky fillers and therefore has a translucent base. Translucent clays, by their very nature, turn less white during baking, resulting in a darker color. So this means that most of the colors of Cernit will have a noticeable shift in color after baking. I found that it was a good idea to create a baked color swatch of each color so that I knew what was going to happen during baking and could design my piece accordingly. All colors of Cernit will change color during baking, even black and white. One of my readers mentioned that she didn’t like that white Cernit turned translucent upon baking. I found that there are actually two versions of white. Porcelain White is a 50% opaque, and Opaque White is a lot closer to being fully opaque. It is opaque for all practical purposes, but it is not a chalky white and does have some light come through when you hold it up to a window. This color shift feature of Cernit can be frustrating when you use it for caning because colors that seem good together when raw will darken during baking and can give you a dark, dull, and uninteresting cane that you don’t expect. Just make sure that your cane is designed with this color darkening in mind. Colors of Cernit can darken considerably during baking, which needs to be kept in mind when using Cernit for caning. The slice of kaleidoscope cane on the left is raw, the one on the right is baked. Cernit has several ranges of colors in its brand. Each has slightly different characteristics and will be used in different ways. This is the main color line of Cernit. There is an impressive array of colors that includes white, black, neutrals, primaries, and lots of lovely mixes. Cernit’s colors do have a slightly translucent quality, but the Number One range is more opaque than the Opaline range. Previously, Cernit’s Number One line was separated with some colors being 100% Opacity and others labelled as 50% Opacity. They’ve now separated out these 50% translucent colors and they’re called Cernit Opaline. Richly metallic, full of mica, and available in 14 colors, Cernit Metallic is luscious and beautiful. It doesn’t seem to change color during baking. You can read my extensive review of this interesting clay here. While Cernit Metallic is mainly the gold, silver, and copper colors, their jewel colored pearlescent clays are what you’ll find in the Cernit Shiny line. They contain colored micas, not just gold, silver, or pearl mica colors. Cernit Shiny contains the brands cool pearlescent colors that have a colored mica flake. This is the range of pearlescent. Unlike the pearl and colors in other brands of clay, these clays have a more subtle shimmer that comes from a finer mica particle size. These fluorescent colors of Cernit are in Day-Glo colors that glow brightly under UV (black) light. Aside from translucent white, these are the only colors of Cernit that include fluorescent dyes or pigments. The Neon Light colors must have a fairly translucent base because they all darken considerably during baking. The Cernit Translucent range are colored translucent clay. These clays have no opaque binders in them so they bake very clear. The colors are very intense, far more than other brands of colored translucent clay. In many cases, you’d want to mix these intense colors with plain white translucent to get the best see-through effect. I think these would be interesting as the colorant for other brands of translucent clay, such as Pardo or Premo. This is Cernit Translucent. On the left is raw clay, and on the right is baked. You can see how much the colors change and also how clear the colors become. They’re very intense, unlike the colored translucents of other brands. Cernit white translucent is quite white (non-colored) and is one of the clearest translucent clays that there is, certainly a rival of Premo but without the tan color. I still do find, however, that Pardo translucent is clearer than Cernit. Similar to the Sculpey’s Granitex line, the Cernit Nature colors have two kinds of particles. One is a hexagonal black flake, very similar to glitter (but not shiny). The other is a tiny short pieces of fine fiber that reminds me of flocking. The Nature colors are designed to look like stone. These little fibers and flecks do mean the clay won’t cut cleanly. In fact, when you use a blade with this clay, the fibers collect on the blade and if you’re not careful, these bunches of fibers can end up on your clay as lines or streaks. The little fibers in the Cernit Glamour line will collect on your blade and if you’re not careful this line of fibers will end up as a streak on your clay. Just as Fimo and PVClay have a range of doll clays in their offerings, so does Cernit. I didn’t get a chance to review it, but I expect it would be fairly similar to the rest of the Cernit line. And unlike Super Sculpey, Cernit Doll comes in 8 varied flesh colors. Can You Cane with Cernit? Well, technically, you can cane with any polymer clay. 😉 But does Cernit give a good result when you cane with it? I found that it was pretty easy to cane with Cernit. The clay isn’t too sticky, so I was able to rearrange sections as I built my cane. I followed a tutorial I found online (And I won’t link to it here because it was impossible to follow and the photos were incorrect. I swore a lot when trying to follow the instructions.) But even with all the messing around and false starts, I was able to get a tolerable kaleidoscope cane. The softness of the clay was working against me in trying to get precise angles to line up. Also, since Cernit can be pretty soft, so make sure that you give it a good, long rest before you slice it. Cernit does work well for caning, but because it’s so soft you can get a fair bit of distortion during construction. Note the color shift between the baked cane slice (left) and the raw one (right). There’s another reason why caning with Cernit can be a bit blurry, and that is the translucent colors. Because translucent clay allows color from adjacent sections to show through, you can sometimes get a blurred visual effect, making it look like there’s not a clear distinction between the colors. For the sharpest visual effect, design your cane to have strong contrasts and use the 100% opaque colors. Because of the softness and the color blurring, I think Cernit will be best for more organic canes where there the cane slices will be manipulated, such as when you make flowers with them, or in the style of Teresa Salgado‘s “scayning” technique. Cernit isn’t going to work as well as Fimo or Kato for extremely precise or intricate cane designs where exact placement is required. Cernit Metallic, Cernit Shiny, and discontinued colors of Cernit Glamour all make excellent mica shift effects. Not sure what mica shift is? You can read about it here and see examples of Cernit Metallic mica shift. The Cernit Glamour Violet (now discontinued) made an equally gorgeous mica shift. However, its effect was just slightly less impressive than the Bronze, but not enough that you can see it in the photos. Again, note that sanding and buffing Cernit can give a tremendous high-gloss shine. Nope, no varnish was used here. And yes, these are completely flat and smooth as silk. These textures were made with KOR and MKM rollers provided by Poly-Tools. The one on the left was sanded down after baking. The one on the right was carved with a blade and then baked. In both cases, the mica shift effect is excellent. Cernit accepted paints, silk screening, alcohol inks, chalks, and varnish just as well as any other brand of polymer clay. I had a grand time playing with several things, including my Rustic Beads technique and my Faux Glass Effects process. One unusual thing about Cernit (as well as Fimo and Pardo) is that they can be damaged by water when raw. So be aware that using water as a mold release can lead to the clay getting sticky if you leave it on for very long. Learn to make Rustic Beads with my Rustic Beads Tutorial. Cernit takes alcohol ink and paints as well as any other brand of clay. The silkscreen used here was provided by Tonja’s Treasures. I made both the faux sea glass and the faux Czech glass beads (from my Faux Glass Effects Tutorial) using the Cernit Translucents. Note the plaques in the sea glass. Cernit, just like all the other brands of translucent, can form plaques. How Strong is Cernit Polymer Clay? It’s really hard to say that Cernit is the strongest brand of polymer clay because there are many ways to assess strength of a material. But it’s certainly one of the strongest. I compared Cernit to Premo, Kato, Sculpey III, and Fimo Professional in three tests. I made sticks, which I tested for flex and breakage. I made balls, which I smashed with a hammer. And I made thin strips, which I tried to pull apart and also tested for strength on the fold. In all almost all cases, Cernit was as strong as or stronger than any other brand. I tried to break 1/4″ (6mm) rope of baked clay by snapping it like a twig. Sculpey III snapped as easily as a pretzel. Kato broke easily. I could not break the other three brands with my hands. Kato was quite a bit more stiff than the others, also. These 5/8″ (16mm) balls of clay were set into a hole on an anvil and then smashed repeatedly with a hammer. I could not break Premo, Cernit, or Fimo. Kato cracked after 5-6 blows. Sculpey III shattered into bits with one blow. Each of these thin strips were pulled apart with my hands (right side) and also flexed by folding over and creasing the strip (left side). I could not break the Kato strip with my hands. Premo took little effort, but Cernit and Fimo were both quite hard to pull apart. Cernit and Fimo were both very flexible and could be bent and creased many times without breaking. Both Kato and Premo broke with the first crease. Sculpey III was not included because it’s too weak for this test and can be crumbled like crackers in your soup. Sculpting is a word that can mean so many things from cute little kawaii charms made by hand to incredibly intricate sculpting done with tools. Cernit is known for being excellent in the kind of sculpting where you have lots of blending and things are shaped by hand, such as Marina’s flower bracelet I showed above. While the clay can hold fine detail, it does droop easily and that makes it frustrating if you need a complex shape to hold while you’re working on other parts of it. I made this flower in the style of the ones made by Rusalina Cernit, a Russian artist. You can see her excellent tutorials on YouTube. Here’s another set of flowers I sculpted using Rusalina’s excellent YouTube tutorial. The blue ones are made from Cernit, the white one is made from Fimo Professional, and the light violet one is from Premo. All three clays are strong enough for this technique. But Cernit did work the best. I found the Fimo to be too sticky and the scissors kept sticking. One thing that Cernit does very well is to form folded sheets. I made this brooch using the FanFolding techniques in Helen Breil’s incredibly excellent tutorial ebook. As you can see, the clay is flexible and can take tight curves and folds without cracking, and it also accepts the mica powder beautifully. In the US, go for Clay Factory, Inc. and Linda’s Art Spot. In the EU, go for Hobbyrian in Sweden. In Australia, you’ll want to check 2Wards Polymer Clay. Cernit can be purchased from Emma Ralph of EJR Beads in the UK. Emma also helped me by answering many questions about the clay as well. Emma says she ships to any country. As Cernit is so very popular in Europe, there are many dozens of suppliers and I can’t even begin to list them all. Oh, and Penny Vingoe from Clayaround in the UK says that she’s considering stocking Cernit once again and has started with a trial run of Translucent. Cernit doesn’t have a large buyer base in some countries, so suppliers might have old stock. If your order contains older 62g packages, or if the clay is too hard or crumbly to work, then take it up with your supplier and know that fresh and properly stored Cernit won’t be impossible to work with. Buying any brand of polymer clay from ebay or Amazon can be risky because you are not buying from a supplier with a known reputation. 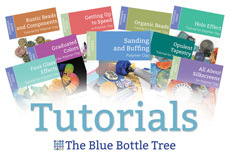 Read more here about buying quality polymer clay. If you have a favorite Cernit supplier, please let us know in comments. What works in one country doesn’t always work for another, and the more options the better. Thanks! Cernit polymer clay, which is made in Belgium, is a high quality, professional clay that I am happy to recommend. Here are the highlights. All in all, Cernit is one of the best polymer clays out there! Credits: Many thanks to Marina Taenkova of Marka Decor, Marie Segal of Clay Factory, Tonja Lenderman of Tonja’s Treasures, and Christina Butler of Poly-Tools for providing materials used in preparing this review. I’m honored to be able to help get the word out to all of you about products like this. Love Reading Polymer Clay Product Reviews? Have a look around, there are more polymer clay reviews, product reviews, and of course, lots of information about playing with polymer clay. You can find a list of great articles here on the Favorite Posts directory. n my opinion though, Cernit is not the easiest for sculpting as it does not have the smudge factor unless it is warm (and then it is hard to hold its shape) that makes it easy to get rid of seams or to sculpt. Still the final result is worth all the work. If working with Cernit as the first clay, then there is a learning curve to switch to a different brand. I could not do without Premo for overall use, Kato for having a final color that I can count on after curing, Fimo for caning and Cernit for sculpting humans. I will try to find some photos of people I have sculpted with Cernit and send them to you. I love your blog. Thank you for all the information and work that you do. Makes me want to do some claying. I think the formula of Cernit has changed dramatically in recent years because much of what I’ve read about it, especially the smudge factor issue, doesn’t seem to be a problem anymore. In fact, I found that it didn’t behave a whole lot differently than other clays. I mean sure, they all have their own feel and “body” to them, but really, Cernit was remarkably easy to work with. I didn’t have any trouble making seams go away. That is good to know. Will have to get fresh Cernit to try again. If in fact, it has the smudge factor and it still has the translucency, then it has to be the best for sculpting people. Ohhhh. Seems like such a great clay. A pity they aren’t available here in Singapore, but I will definitely order some online. Those mica shifts are gorgeous. Thank you so much for taking your time to put up such a thorough article. 30 years ago I picked up 3 packages of Cernit that started my love of polymer clay. I still have pieces made then with cernit. I have used many brands over the years but I still love cernit for specific projects. Wonderful review, I learned a great deal. Thank you Ginger! Thank you for another of your thorough research projects. I greatly appreciate the time you spend on these – and your willingness to share! Great article, Ginger! I’ve wondered about Cernit, but as you noted, it’s a bit scarce here in the US. Thank you for sharing the supplier links. Cernit is now on my never-ending list of ‘must try’s”. Thank you Ginger for this helpful review about Cernit: really useful, clear and complete! Thanks so much Ginger for taking the time to experiment and write this wonderful review. As usual, you were thorough in your testing and your evaluations were concise and easy to understand. Sounds like Cernit is going to be on my wish list for future projects! I’ve been waiting for the review on this one; and you covered it with your usual thoroughness, Ginger. Thank you so much! Cernit Translucents are on my wish list now. Thank you Ginger for this excellent report! I have started using Cernit lately since i found a swiss site that sells it very cheap. Actually, quite a bit cheaper than Fimo, which is the most common brand here in Switzerland. I haven’t aeen it in stores though. The website is www. Gerstacker.ch it is actually an art supply online shop. Once again, you’ve done a fabulous job of providing us with great information. I love Cernit and have found that burying it in a bowl of corn starch will keep the colors true. Thanks for your super blog and for all the work you do!! Thank you Ginger. You do such great work on your reviews. I found this one to be no different. Thank you for the super detailed review Ginger! I have to get my hands on some of that mica clay, looks yummy, especially that bronze. I’m curious, would I be able layer Cernit and Premo for a mokume gane stack? Would it move similarly? I ordered a bunch of Cernit translucent from Clay Factory a while ago and ran through it pretty quickly. I found it far easier to use than Pardo, it was pretty translucent and I didn’t have any issues with plaques. That was during the summer though, I wonder if I’d get different results now. Actually, yes, I think that Cernit and Premo would move similarly in a stack. They have a similar softness. But it would depend on the color, and the age of the clay, of course. I’ve not tried it, but there’s no reason to expect an issue. Great review Ginger, as always full of information. I have the Cernit translucent, Cernit Neon and the Glamour range in the shop. You can see my shop here at http://www.happythings.eu. Thanks Ginger for another great review of a product. As usual, your review is appreciated and again I want to say thank you for being so generous in sharing all your knowledge with us. Bravo!! Want to get some Cernit now! Thank you all for your kind comments! I really enjoyed working on this review. Cernit’s a good clay and it was a bit disappointing to have to stop playing and get on with the business of taking the photos and writing the article. No problem, though, the clay’s all safely tucked away in a box and I’m sure I’ll have a chance to pull it out again soon and play. What an excellent review – what withour crazy house move, I’ve only just had chance to read it. I had no idea until we talked that Cernit DOES now work for mica shift! (But gee thanks – now i have to update all the Cernit Glamour product write-ups in my store, lol). Thank you also for sharing that EJR Beads stocks Cernit and can supply worldwide. I personally don’t like Cerenit because It’s too hard and crumbly. also their white color turns translucent after baking but they don’t say that on package so I once ruined my sculpture because of that. I’ve never noticed Cernit being crumbly unless it’s old. But that’s true for Fimo and Premo, too. As for the white being translucent, they now have two whites. One is opaque, the other is 50% translucent. So if you note which one you have, you’ll be okay. But I do agree that the color change during baking is a real challenge for Cernit users. It’s the one clay I think having color swatches and doing test bakes would help immensely. For cernit in Australia Over the Rainbow stocks it and are lovely to do business with! I mixed cernit transparent color with same cernit but after baking surface has so many tiny bubbles…. I had expected neat and clean surface like fimo translatent. actually cernit small bubble dots(?) are not offensive in normal. but When I see it closer its surface I can’t bear it.. what is problem.. I had tried so many bakings and temperature manipulations. My cernit may be old ver because It made in Germany. Doesn’t your cernit have same problem? I didn’t notice the Cernit having very many bubbles on the baked surface. ALL brands of clay can sometimes have bubbles inside, and you can see them with translucent, especially in thick pieces. These are called “plaques”. But they’re under the surface, not on the top. It sounds like you might want to try a new package and see if you have better results. I’m living in Iran and I can’t find this polymer clay or anything like that in our country because of sanctions against Iran companies don’t like to work in our country so doll makers don’t know this clay or they buy it for themselves from another countries.can you guide me how can I get some cernit? I’m sorry Fatima, I don’t have any resources that would be helpful. Perhaps you can order from a company in another country and have it shipped to Iran? Many people who live in countries with restrictions like this have to resort to using friends to bring supplies when they travel. Good luck, I hope you can find some. Hello from Brunei Darussalam, I’m guessing not many known to where my country is but it’s in Borneo island of South East Asia. I know where Brunei is! Welcome to the world of polymer clay. Enjoy! Hi, I got my order already. awesome clay at first, but it took a month to wait for its arrival at the post office and the clay were all hard and crumbly. shipped all the way from UK, expensive shipping though. I tried conditioning by warming in my hands or putting it next to a warm device but that didn’t work at all so I had to condition it all by putting it into the grinder and add bit of oil. In Brunei, no cernit or any other polymer clay brands or any air dry clay brands available as there’s not many are interested to supply it so it’s a pity. I’m still looking for suppliers that are close to Brunei and can get fresh cernit clay. please let me know if there’s any suppliers close by. This is a very informative and interesting article. I enjoyed reading it as I’m currently looking for a new clay to work with. Thank you. I like that it is one on the most strongest clays you have used. It is good to know that it has such a wide range of colours. I’m interested in trying this as I am looking for a new polymer clay. I normally use fimo but have found out it has animal by products in it so have seised using it. Do you know whether cernit is tested on animals or has animal by products in? Actually, yes, I have recently heard that the Cernit company does not use animal products in their clay. I am making a 9” gun with Cernit Numbe One for an Annie Oakley sculpture. What do you recommend structurally to keep it from sagging before baking? It would depend on the size and shape, of course. Lots of people use a wire frame and pad that out with compressed aluminum foil. Cover that with a thin layer of polymer clay and cure. Then build the details of the gun onto that and bake again. Have fun! Hi Thank you for the info. Do you know what liquid polymer clay I could use with Cernit? You can use any brand of liquid clay with any brand of polymer clay, including Cernit. There’s no need to stick with any one brand. All are interchangeable and mixable. Thank you :-D. I’m still learning and your site is a great source of info. Really helpful! Thank you. I’m still not sure if I’ll move over to cernit (from premo), but I do like the idea of using the translucent colours to colour Pardo translucent. Great article! What type of varnish works best with Cernit? I’ve dabbled with Cernit bead making, usually buff gently with a Dreml. The finished texture is smooth and shiny. Any advice on making very small pots for succulents? Thanks! I’ve not specifically tested varnishes on Cernit, but I would expect that it would behave similarly to Fimo Professional. Have a look at my article where I tested sealers and varnishes to get some suggestions. I think that making them smooth and then buffing with a dremel would give a lovely effect. Small pots are a great idea, and I would not use any varnishes for pots that directly contact the soil because moisture can cause them to lift. Just shape them the way you’d like and bake them. Make sure to bake long enough and hot enough so they’re plenty strong. Have fun! Great article. I just made a leaf dish (my 2nd try) with Cernit (my first use of it) and found that it was nice to shape (but soft), and both Premo leaf dish and Cernit leaf dish took my UV resin well. I ended up mixing the Cernit with Sculpey II (which I’m trying to get rid of, also SOFT). The finished small leaf dishes look good. The cernit/Sculpey one is much “heavier” than the other and feels more like real ceramic. I ran to read your article to see what you had to say, and as always SO informative. Anyway, thank you. I learn! I learn!